weeblrAMP introduces the ability for your visitors to comment on your AMP pages. While still complying with all commenting permissions you set in your WordPress admin, AMP pages can now both display and receives comments. This will work both when the AMP page is shown on your own site, or when displayed by Google from its AMP cache. Leaving comments on AMP pages, whether with WordPress native commenting system or with Disqus, is only available in the regular edition of weeblrAMP. 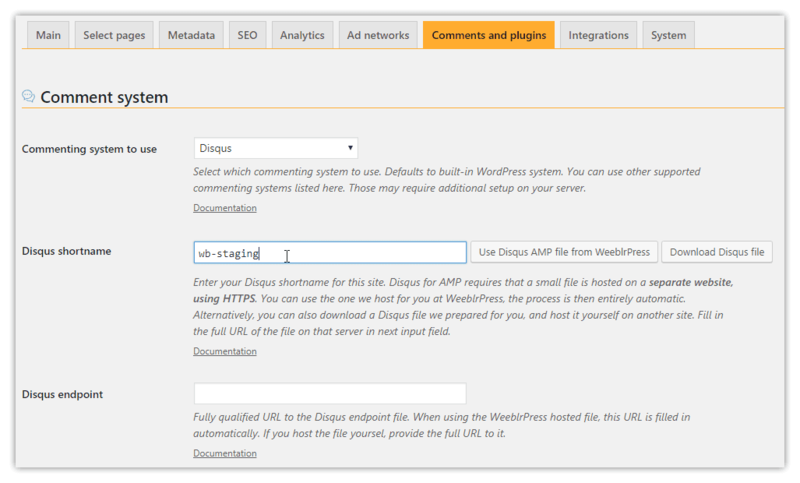 On the Community Edition, WordPress comments will be displayed only, and Disqus is not available. The simplest way to go. 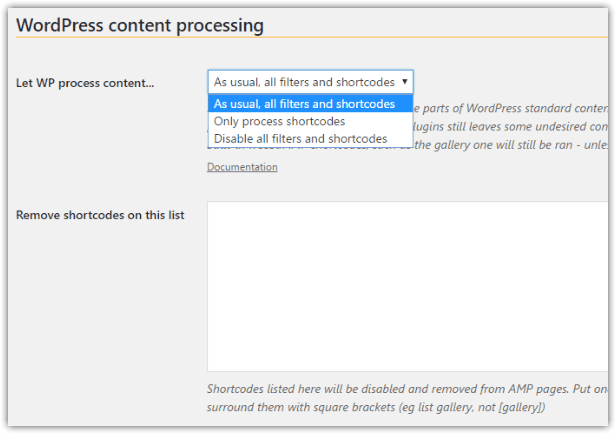 It's enabled by default, so you basically do not have anything to do to enable commenting on your AMP pages if you use WordPress native comments. Disqus commenting system is fairly popular amongst WordPress users, but it also has the advantage of providing an AMP implementation, that allowed us to provide what we called a "hands-free" Disqus experience. All 3 requirements made it rather complex to implement, including the need for a separate domain or subdomain. Assuming you have an active subscription with us, clicking that button creates a relay file for you, and hosts it on one of our domains, over HTTPS, and actually over a worldwide CDN, for speedy response. You are not tied to us in any way however. Should you not want to use this service from us, you can host the Disqus relay file on your own server (still on a separate domain and over HTTPS). For your convenience, we create the Disqus relay file for you and you only need to click the Download Disqus file to get a suitable file (make sure to fill-in your Disqus shortname first). You can then copy it where you need and enter the corresponding URL in the Disqus endpoint input field. On the Comments and plugins configuration tab, you will also find a list of the plugins installed on your site. Many of them will not be needed on AMP pages, because of the AMP requirements, but weeblrAMP will normally simply not use them. However, some plugins may still perform what they do on AMP pages, and break them in the process. If this happens, just check their names in the list, and those plugins will be disabled when displaying an AMP page. Disabling the theme will also disable all plugins that are part of your theme. For instance, when using the Divi page builder as part of a theme, disabling the theme will also disable the page builder, which will prevent proper rendering and is therefore not recommended. This will not happen if Divi is installed as a standalone plugin, separate from your theme.